Lumefantrine is an antimalarial agent used to treat acute uncomplicated malaria. It is administered in combination with artemether for improved efficacy. This combination therapy exerts its effects against the erythrocytic stages of Plasmodium spp. and may be used to treat infections caused by P. falciparum and unidentified Plasmodium species, including infections acquired in chloroquine-resistant areas. 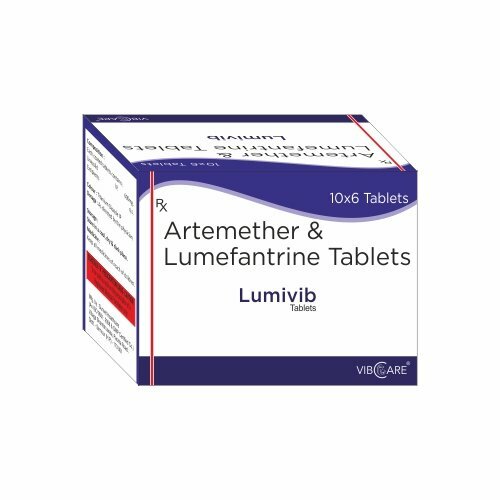 Common side effects of combination artemether/lumefantrine therapy in adults include headache, anorexia, dizziness, and asthenia. Common side effects in children include pyrexia, cough, vomiting, anorexia, and headache. Possible serious adverse effects include QT prolongation, bullous eruption, urticaria, splenomegaly (9%), hepatomegaly (adults, 9%; children, 6%), hypersensitivty reaction, and angioedema. Lumefantrine and artemether combination therapy is indicated for the treatment of acute uncomplicated malaria caused by Plasmodium falciparum, including malaria acquired in chloroquine-resistant areas. May also be used to treat uncomplicated malaria when the Plasmodium species has not been identified. Indicated for use in adults and children greater than 5 kg.